Chicago's Albany Park and Irving Park are where the quest for the American dream often begins. This vibrant, multi-ethnic area of Chicago is likely the most diverse community in the city. It is this diversity that gives the greater Albany Park and Irving Park district, often known as the North River District, its strength and vitality. It is a dynamic business hub experiencing a resurgence as an up and coming commercial powerhouse, being home to a growing number of retail and wholesale businesses. Supporting the success of these businesses is the Albany Park Chamber of Commerce and Albany Park and Irving Park Special Service Area. The hub of the commercial strip includes the intersections of Kedzie and Lawrence Avenue and Kimball and Lawrence, and the bustling streets of West Montrose Avenue and Irving Park Road are key extensions. Entrepreneurship is increasingly driving the growth of the area, as evidenced by the wide range of businesses that have successfully started up during the past few years and the more established businesses that have aggressively expanded their operations and conquered new market segments. Dovetail Studios at 2853 W. Montrose Avenue (www.dovetail-studios.com; 872-208-6169), is a great example of a business that has been built from the ground up and has grown steadily despite a competitive market. Founded by owners Joanna and Kit Read in 2015, Dovetail Studios is a modern fitness and dance studio that has successfully adapted to the needs of its market, all the while breathing new life into a neglected commercial space. What once was an old auto repair garage, is now a sleek and stylish studio that serves many needs. Dovetail offers dance classes for infants and toddlers; ballet, tap and hip hop dance classes for children; ballet, hip hop and musical theater dance classes for teenagers; and ballet hip hop, modern, and tap classes for adults. There also are ballet, modern, musical theater and hip hop classes for professional dancers. For adult fitness seekers, there are nine different classes, including yoga, strength, Pilates, cardio and boot camp-style classes, offered at various times during the day and evenings. "We knew there were many families in our neighborhood, and so we set out to offer a family-centric program of exercise and dance classes for both children and adults," said Joanna. "We've discovered that it's also a good space for events. We host birthday parties incorporating dance and rent out the space for organizational events." Kennedy-Mann Architecture ( www.kennedy-mann.com ; 773-564-9995), owned by principals Ben Kennedy and Matthew Mann, has experienced accelerating growth during the past six years and is about to move to new, expanded offices at 2822 W. Montrose. Starting as a small independent firm in 2008 that focused on small residential projects, the partners have built a strong base of commercial clients, enabling them to scale up their operation and take on even more exciting projects. 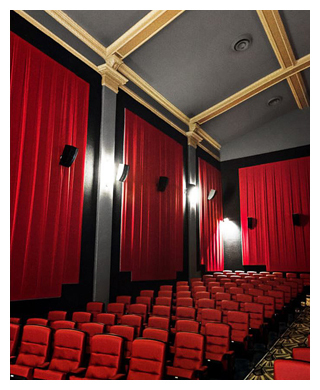 Most notable among their more recent projects is the renovation of the Davis Theater in Lincoln Square and the new Carbon Arc Bar & Board restaurant adjacent to the theater. Jaafer Sweets, located in the Albany Park Shopping Center at 4825 N. Kedzie (www.jaafer.com ; 773-463-3933), was a 17-year old highly regarded Middle Eastern bakery when Hannah Moses and her husband, Nabil Saaydeh, took it over in 2008. The couple could have continued to run the business as it was-successful with an excellent reputation. But their entrepreneurial spirit was a driving force as Jaafer Sweets has grown into a major wholesaler as well as a retailer. Never resting on their laurels, the couple continued to improve the quality of the products while they introduced new product lines including vegan and gluten-free selections. Jaafer Sweets now distributes baked goods, under their own brand name, to Whole Foods stores in the US and Canada. Chicagoans can also find the products in Mariano's supermarkets. The Irving Park Early Learning Center, located at 3000 and 3023 W. Montrose in the Irving Park neighborhood (www.ipelc.com ; 773-539-7422), is another excellent example of a business that started from the ground up and has grown into a two-location business, earning a strong reputation along the way. Founded in 1999 by Rose Ocasio, what was once a simple child care center has evolved into a licensed, multicultural infant, toddler, and pre-school program. With programs for children from six weeks of age through age five, the center's mission is to nurture "the whole child" in the areas of physical, intellectual, emotional and social development, preparing them to succeed once they reach school age by helping them develop a wide range of individual and interpersonal skills they will need to thrive. The Early Learning Center has adopted the highly-respected Teaching Strategies Creative Curriculum® as the basis for its programs and activities. "The Irving Park neighborhood has become much more family oriented over the years, giving us the opportunity to serve more people by upgrading our facilities and expanding our programs," said Bardha Kazazi, the Center's director for the past nine years. "We added a new brick exterior, large, energy-efficient windows, and placed a big logo on the façade so people could see us. We built a big playground on the outside with new equipment and a safe play surface made from rubber tiles. We also enhanced the interior with features that were appropriate for babies and younger children." While these businesses are quite different from each other, there are some common threads, too. All the entrepreneurs stress the importance of relationships and community involvement as key to their success. For architect Matthew Mann, building collaborative relationships with real estate developers has been very important to their success. "First, they like us," he said. "We approach each project as a unique opportunity to interpret our clients' vision while offering them cutting edge architecture. Our clients aren't looking for cookie-cutter architecture or one specific style. They want great design and functionality to meet their vision. We take the time to educate them as to what their options are and we answer all of their questions. This enables us to give them a forward-thinking design that is more exciting than what they originally envisioned, and it's something they can buy into. This kind of working relationship enables us to grow with them as they undertake new projects." Joanna at Dovetail Studios takes the approach that her studio's relationship with the students is the basis for everything else, and her business must evolve with the needs of her students. "Our instructors and I try to get off on the right foot-no pun intended-with our students, by making them feel comfortable, provide structure, and listen to their needs." she said. "We have developed a full curriculum that lets them build their skills and transition to the next level. We are open to suggestions and feedback from our students and this helps us shape our classes to meet our students' needs over the long term." Hannah at Jaafer Sweets is also an advocate of building great relationships. "It helps that people like us. We treat our retail customers very well so that they feel welcomed and appreciated," she said. "We offer free coffee so customers can sit in the shop, relax and enjoy their treats. They often linger in the shop and explore the many kinds of goodies. We also have created new products for people who have dietary restrictions, such as those who want a sugar-free, vegan or gluten-free option." Jaafer also offers products, such as a variety of Knafeh, that are made to order from scratch to their customers' specifications. The Jaafer team takes the time to make sure they understand what our customers want. "Our customers are pleased that we look out for their needs and are so committed to offering them top-quality products," said Hannah. Jaafer's success in penetrating the wholesale market can also be attributed to their commitment to building strong and reliable business relationships. "Business relationships with major clients such as Whole Foods are based on good communication and trust," said Hannah. "They need to know they can count on us to provide the quality and consistency that their customers expect." "The key to our success has been communication," said Bardha at the Early Childhood Center. "We work with both two-parent families and single parents, and we try very hard to be open, attentive and responsive to their needs. By doing this, the parents are much more willing to work with us to provide their child with the best possible experience." These successful entrepreneurs also attribute their success to their excellent employees. Whether they have been on board for years or they are new employees, they all agree it is important to find employees who have a passion for what they are doing and to create an environment where they can perform at their best. Jaafer Sweets is proud that many of their employees have been with them since the original owners, back in 1991. "We are like family, everybody is equal and everyone pitches in," said Hannah. They are great bakers and they know how to be welcoming and helpful to our customers. Seventy percent of our retail customers are regulars because we give them a great experience-products made by experts and a service staff that makes them feel at home." Kennedy Mann Architecture is at a different stage with employees. They are now growing rapidly and are hiring new architects. "We are looking for young architects who appreciate our philosophy, have a passion for architecture and want to work our way," said Matthew. "In return, we give them a well-rounded, immersive experience that gives them a chance to develop all of their skills and creative talents. Our goal is to take them to a higher level so that their next position, whether it is with us or with another firm, gets them closer to reaching their professional dreams." Dovetail Studios seeks out well-rounded dance and fitness instructors who are skilled at what they do and have solid experience as teachers. "It is so important to our success that our staff are supportive, relatable and open to suggestions and constructive criticism," said Joanna. "We always strive to improve our classes and make the Dovetail experience as positive as possible. We provide a solid curriculum that gives our classes structure, but it is our great staff that make the classes come alive, build our reputation, and keep people coming back for more." The staff is just as crucial for the Early Learning Center. They are certified, with degrees in early childhood education, and are chosen for their knowledge, reliability and communications skills. "We're fortunate that our staff members offer a very high level of care and are very communicative with the children and the parents," said Bardha. "We are committed to helping our staff continue to grow professionally so we always offer the highest quality of service." Successful entrepreneurship also means giving back, and these businesses stay involved in civic activities in the district. Matthew Mann devotes a lot of time to meeting with community groups and networking, and this is how many of the seeds are planted for new projects. "Once people get to know us, they are more likely to share their vision for upcoming projects or introduce us to potential clients. We do the same in return," he said. "It's important to understand that people in our community need our talent, just as we need theirs. We're in it together." Hannah also agrees on the importance of the community. "We owe much of our success to the fact that we've been able to stay in this community for a long time. They know us, they know where we are and they are supportive of what we do." She makes a point of staying involved in the civic activities of the North River Commission and the Albany Park Chamber of Commerce and she is a strong advocate for the district. "This is a diverse community that will support a variety of creative businesses. It's a good potential area for women-owned businesses, and we need more of them." The Early Learning Center has participated in many community activities, including Toys for Tots and food drives and actively participates in the Albany Park Chamber of Commerce. "We're better as a community when we work together and we build relationships by staying involved," said Bardha. "We think it's important to be a role model, not only to our staff, but also for other businesses in the area. We like to think we stay one step ahead, always looking forward, and that's good advice for any business." The Albany Park Chamber of Commerce supports, advocates for and promotes our members and local businesses in the Albany Park, Irving Park, Mayfair, and North Park business districts. The Chamber provides resources that strengthen and physically improve area businesses. It attracts new businesses and investment to the community. It beautifies the commercial districts to further stimulate development and to enhance culture, dining, shopping and entertainment on Chicago's northwest side. 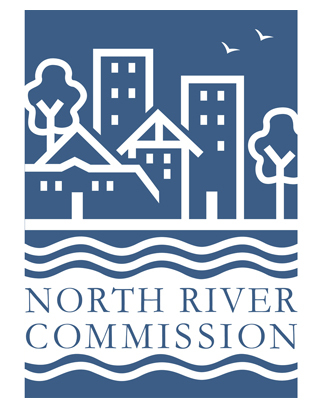 North River Commission is the nonprofit community and economic development corporation for the northwest side of Chicago, from the Chicago River to Cicero and Addison to Devon. Founded in 1962 by concerned residents and neighborhood institutions, NRC unites over 100 civic associations, businesses, schools, institutions and places of worship to improve the quality of life in our community by creating affordable housing, quality education, arts & cultural endeavors, open spaces, and thriving neighborhood businesses. North River Commission operates the Albany Park Chamber of Commerce as part of its economic development strategy. Spring Parents Night Out at NBGC! Parents, drop your kids off at the NBGC Clubhouse and enjoy a "Kid Free" evening! Open to kids ages 4-13. Pizza and snacks will be provided along with clubhouse activities, games and movies. Cost: $25 for the 1st child and $10 per additional sibling. Space is limited for this amazing night of fun! Contact candice@nbgc.org to make your reservation. Come and see the entire maple syrup-making process from tapping the tree and collecting the sap, to boiling it down into syrup. Take a walk through the sugar bush, enjoy storytelling, listen to music, make a maple craft, warm yourself by the fire, and taste real maple syrup fresh off the fire. The Maple Syrup Festival is a sweet and warm tradition that is free and fun for all ages. No registration required. Northeastern Illinois University, in collaboration with the People's Education Movement, invite you to a day of solidarity, healing and organizing. All Students, Teachers, Parents, and Community Leaders are welcome to this free event. CPDU's will be available for CPS teachers. Event is free. This year's theme signals an intentional decision to acknowledge the pain and trauma created by unjust laws and policies and work towards nurturing the health and well-being of our students, within ourselves and our communities, to sustain our organized efforts to challenge and resist policies that exploit us. The forum intends to share curricular resources that help educators engage in healing praxes that foster sustainable, long-term movements for justice. The first part of the day will focus on merging healing, grounded in the histories and cultural knowledges of ancestral wisdom, with educational practices that help students process multiple forms of trauma. The afternoon will be dedicated to workshops that build upon healing and develop strategies to organize. Participants will receive resources from all the workshops to take with them. We believe it is critical to make these curricular resources accessible to all and assist survival strategies as social services continue to disappear. RSVP: www.tinyurl.com/neiuforum. Lunch will be available for purchase. Takeout Tuesday is a new marketing campaign to highlight take out and delivery from local restaurants by hungry residents. Takeout Tuesday is a recurring monthly event on the 1st Tuesday starting in April. Join the Albany Park Chamber and the Pulaski Elston Business Association at this joint chamber roundtable lunch covering real estate. Learn from experts on what's happening in real estate, how to save money, and add value to your property. Thank you to our host Rozalado Commercial Cleaning for providing lunch, and attendees will receive a free energy saving powerstrip courtesy of Elevate Energy! Every child receives an Easter basket! The Easter Bunny will be available for photos, and over 2,000 eggs will be scattered throughout the fields, tennis court, and playground. Begins at Pitchfork Food and Saloon, 2922 W. Irving Park Rd. Albany Park Chamber of Commerce invites you to join us for a fun evening of networking along Irving Park Rd. We will start at Pitchfork Saloon at Irving Park Rd and Richmond, 2922 W Irving Park Rd. Then MOJO at Sacramento, 2958 W Irving Park Rd. Then across the street to Leader Bar at Sacramento, 3000 W Irving Park Rd. Tano's Pizzeria, 3038 W Irving Park Rd, offers a break for pizza before our last stop. Last stop is Lizard's Liquid Lounge at 3058 W Irving Park Rd. The event is free and you're on your own for drinks. In 2017, the NBGC Scholarship Committee will present approximately $40,000 in awards. Over the past three decades, 74 young adults have graduated from a school of their choice with support from the NBGC. This successful program supports the aspirations and goals of youth in the community, ensuring that they have the necessary resources to pursue their dreams. As our program continues to grow, we are always looking for new scholarship sponsors. Flavors of Albany Park is Chicago's global cuisine crawl. Taking place on Wednesday, May 24, from 6-9pm, attendees sample food from 15+ local restaurants along and near Kedzie Avenue. Ticket sales will open in April and are limited. Adults are $30, and children 12 and under are $15. Thank you to Swedish Covenant Hospital for their support as an event sponsor. It's water, stain and odor resistant, packable for travel and warm when the sun dips low on the horizon. 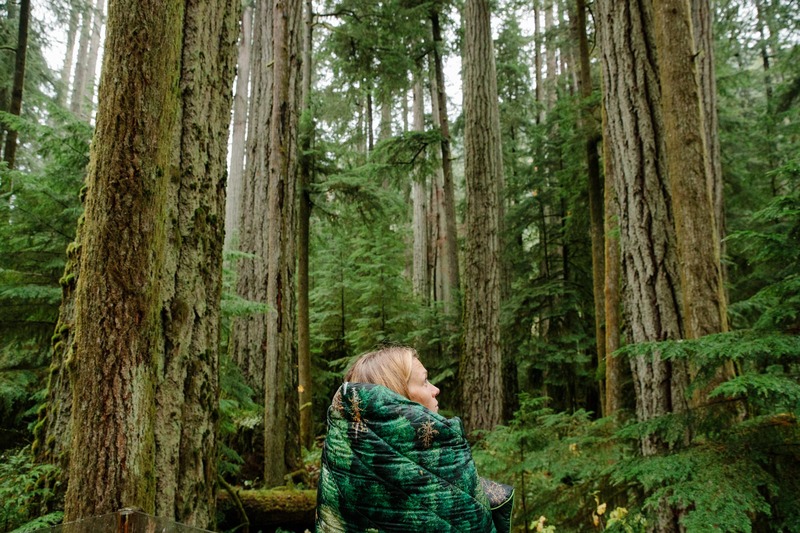 The Old Growth Original Puffy Blanket was created in partnership with Canadian surf photographer Jeremy Koreski. 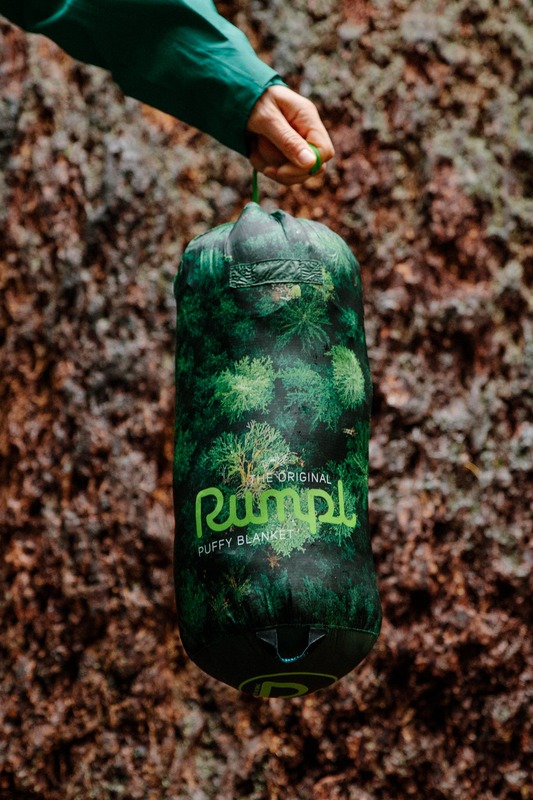 This is the first Rumpl product that benefits 1% For The Planet, with proceeds going towards The Raincoast Conservation Foundation to benefit the land, water, and wildlife of coastal British Columbia. 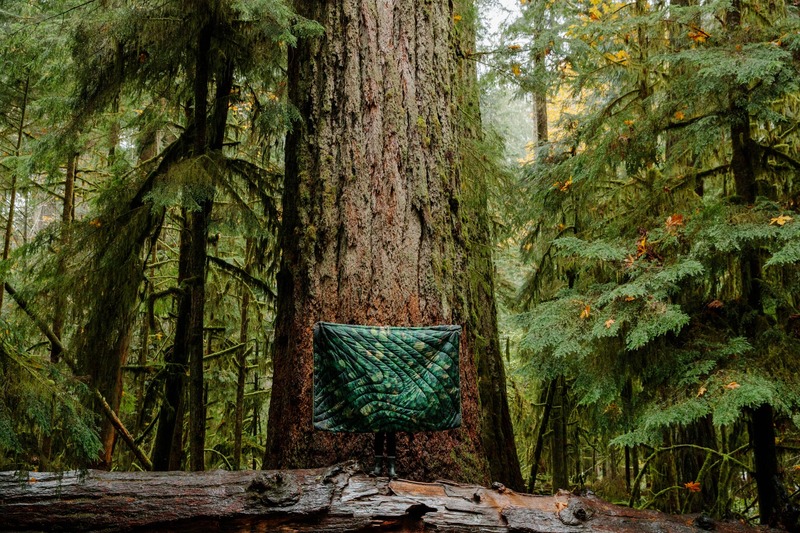 Koreski’s top-down image is sublimated into the Old Growth Puffy and showcases a swath of untouched old growth in British Columbia’s Great Bear Rainforest. Rumpl, is an Active Homewear™ company, based in San Francisco. Rumpl incorporates decades of proven technologies developed for the outdoor industry into their products. The materials have been tested and proven in harsh environments, yet specifically selected for comfort and durability. Rumpl believes the blanket you use everyday deserves the same attention to detail as a sleeping bag you might use 10 times a year. The end result is a premium and versatile blanket that can be used anywhere you go... or when you don't go anywhere. This coming Monday March 27th in Chicago, underprivileged girls from the Chicago area will receive brand new unworn " In Style" designer dresses to wear for up coming spring dances and prom. Sam Sisakhti, the founder of UsTrendy (the world's largest Independent Fashion ecommerce site) started a foundation called "believe in yourself" a year ago which donates dresses to underprivileged girls and promotes positive body image. They have decided to run an event where girls in the Chicago area sign up for an event hosted at the boys and girls club where we then provide them with free dresses for up coming dances. The Believe in Yourself Project is part of a broader initiative. Believe in Yourself is currently in talks with various influential women who at one time or currently have struggled with body image, encouraging them to serve as speakers and mentors to the various girls within the program. The third annual Lake FX CreativeCon, the Midwest's largest FREE conference for emerging artists and creatives, will feature professional development workshops, an interactive resource fair, networking opportunities, auditions in front of leading A&R label executives for selected musicians and a keynote address by Kevin Liles, Co-Founder of 300 Entertainment and CEO of KWL Management. StoryCorps, an independent nonprofit whose mission is to provide people of all backgrounds and beliefs with the opportunity to record, share, and preserve the stories of our lives, is partnering with the Department of Cultural Affairs and Special Events (DCASE) and Chicago Public Media to record, preserve and share the diverse stories of communities in Chicago. Learn more about StoryCorps and sign up at https://storycorps.org/chicago/ to share your story! By critically engaging with archival materials and living testimonies, Nicole Marroquin and Andres L. Hernandez rewrite two narratives of citizen struggle in Chicago: student walkouts on the Lower West Side between 1968-1973, and resident-led protests at the Cabrini-Green housing development in spring 1981. The artists transform the galleries into a suite of active public archives and invite participants to interpret the recent past in order to re-imagine solutions to the crises of our historic present. Admission to the Art Institute of Chicago is free to Illinois residents every Thursday evening from 5-8pm. Additionally children under age 14 and Chicago teens (17 and under) are always free and the public can enjoy the following museum areas free of charge: The Ryan Learning Center in the Modern Wing, as well as all programs for families and children within the center, the North and South Gardens (accessible from Michigan Avenue), the Nichols Bridgeway and the Bluhm Family Terrace on the 3rd floor of the west pavilion of the Modern Wing. In addition, The Art Institute participates in the Museums for All program which offers LINK and WIC cardholders free general admission to the museum. Present your card along with a valid photo ID to receive free access for you and your family. The DuSable Museum of African American History located in the historic Hyde Park area of Chicago at 740 East 56th Place (57th Street and South Cottage Grove Avenue) in Washington Park unites art, history and culture. Admission is FREE to all every Tuesday. Caracol (Like snails, immigrants carry their home with them) is a community and artist-developed installation program inspired by the themes of migration, language and literature as identity builders. The weekend art programs in this living laboratory among the lakefront's native ecology examines how we connect to the land, the city and across our communities. Columbia College Chicago Dance Center, 1306 S. Michigan Ave.
A celebration of the cultures, histories and aesthetics of hip-hop and street-dance forms such as breaking, popping and Chicago footwork, the B-series spotlights some of the most talented street dancers in the region. Curated by Kelsa Robinson, visiting lecturer at the Dance Center of Columbia College Chicago. View the full schedule of events at www.colum.edu. Rogers Park/West Ridge Historical Society, 7363 N. Greenview Ave. In a collaborative project by Roman Susan Art Foundation and the Rogers Park/West Ridge Historical Society, this storefront window exhibition features new image-based works that reflect the way neighborhoods grow, mutate and persist as a result of property development. Historical Society Hours are Wednesdays and Saturdays 10am-4pm. Come hear what Chicago's newest voices have to play, including Jalen Baker, vibes; Julius Tucker, piano; Justin Boyd, drums; Andrew Vogt and Runere Brooks, bass; Hunter Jay Diamond, Mai Suginoto and Leonard Thompson, saxophone and Quentin Coaxum, trumpet. Selected and directed by saxophonist and educator Jarrard Harris. JazzCity is a free concert series initiated in 1997 by the Jazz Institute in collaboration with the Chicago Park District. Celebrate Earth Day with a special Dark Sky night with the Chicago Astronomer: look deep into the night sky and learn about phases of the moon, neighboring planets, star clusters, nebulae, and more. Community park clean-up for Earth Day at 6:30pm, followed by a bonfire and stargazing from 7:30-9:30pm. In the event of rain, activities will be postponed until April 29th. North Park Village Nature Center, 5801 N. Pulaski Rd. Increasingly, we spend a lot of time tapping on our smart phones and mobile devices, so it's easy to see how many of us (and our children) rarely find time to sit down and write a letter to someone. But giving and getting letters need not be a dying art! In this workshop, you'll have the time to write a letter, (or two or three) embellish envelopes with an inspiring stash of recycled ephemera, and create a few pages of your own stationery. Letter writing enthusiast and educator Bonnie Tawse will also bring a few vintage typewriters plus her collection of vintage and new stamps (all valid postal currency). Materials included. Registration required. Since first opening our doors in 1873, Chicago Public Library has served all Chicagoans with free and open places to gather, learn, connect, read and be transformed. The libraries are that special third place-beyond home and work-where people come to improve their lives, nourish their intellect or savor entertainment. Their 80 locations host a variety of free events ranging from performances, arts and crafts, writing and poetry, continuing education and more. Here are a few stand-out events happening in April, but be sure to check out their full event calendar for programming at your local library! Back of the Yards, 2111 W. 47th St. Celebrate spring and books with the whole family! Explore some of our favorite new picture books through interactive read alouds and exciting crafts. Merlo Branch, 644 W. Belmont Ave. Bet you don't know as much as you think you know about the Bard! Come learn about Shakespeare's wide-reaching influence on our culture in a round of trivia and discussion in celebration of National Poetry Month. Snacks provided. Coleman Branch, 731 E. 63rd St. Celebrate female aviators and the life and accomplishments of Bessie Coleman. Join the Fly Girls of Denver, Co., and the Tuskegee Airmen, Inc., Chicago Chapter as they honor the memory of Bessie Coleman and her legacy by describing their experience as pilots and authors. This event will also feature a small performance of the play "Black Girls Can Fly."